I never know whether to say my son has or had sensory processing disorder (SPD). It’s been two years since he met all of his occupational therapy goals. His body is healthy and strong, he’s social, smart, and manages new people and environments well, and he’s as normal and ordinary (i.e. peculiar and strange!) as any other seven year old boy. Now, as we skip easily and happily through most days, it’s hard to believe any of it happened at all. Don’t get me wrong. There are still hurdles. Focus and attention span, visual processing, and food aversions/avoidance are issues we encounter daily. But there’s something very different about our present day sensory challenges. I don’t particularly enjoy thinking about everything that was once wrong with my son. In fact, it’s hard for me to go back and read my blog posts from that time period. It’s not that I regret writing them. 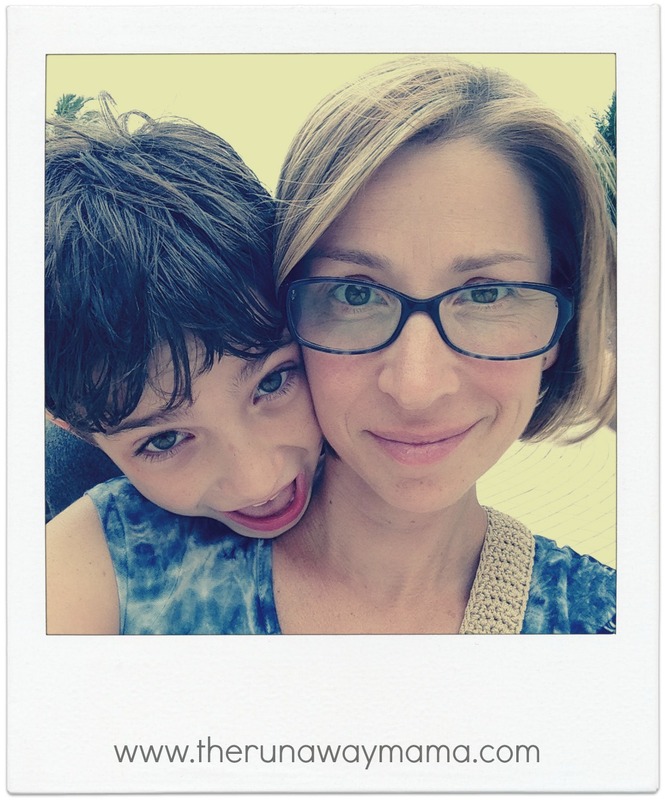 I’m fortunate that I had the creative outlet to express myself when I felt so isolated in my experience, and I’m grateful that in the process of writing, I connected with other parents dealing with SPD and helped them (and me) feel a little bit less alone. Still, it doesn’t mean I don’t cringe a little bit when I realize just how lost and vulnerable I was. It’s emotionally and physically uncomfortable to think there was a time – a very real and very difficult time – when my son’s fears of things like “Finding Nemo,” hand dryers, chicken, automatic flushing toilets, pants, the neck hole of shirts, swings, and bounce houses turned our lives upside down. What’s even more painful is how I handled it. I don’t mean to beat myself up. I did the best I could, but, at the time, my best included a lot of anxiety, anger, guilt, and impatience. I wallowed in the setbacks, I feared the victories because the next battle was imminent, I agonized over what I could’ve/should’ve/would’ve done differently, and I worried about everything. I followed her advice (as best as I could), and, as usual, she was right. He ate a peanut butter sandwich for lunch every day for six weeks, and if anyone asked him about camp, he said it was the best summer ever. Period. Recently, something extraordinary happened. My husband and I took the kids bowling. That’s not the extraordinary part, although it was astonishing (we’re not the family that bowls together type). The extraordinary part was when my sensory eater unexpectedly tasted a French fry. A French fry! A few years ago, I would’ve flipped out. I would’ve cried, cheered, begged him to eat more, and fantasized about ordering French fries at restaurants all over the world. Then, I would’ve been heartbroken when he refused to take another bite or said, “I don’t like it” (after one teeny taste). This time, I was overwhelmed with pride and hope, but I simply said, “That’s awesome. French fries are awesome. You’re awesome.” Then, we continued bowling. He didn’t taste another French fry for the rest of the night, but it was okay because I appreciated the moment. I didn’t drown in anxiety about the time before or after he tasted the French fry. I just relished the singular moment in which he did. 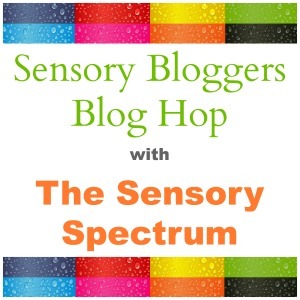 It’s not entirely accurate to say that I’m what’s different about our present day sensory challenges. My son is different, too. He was two years old when we first noticed oddities, or symptoms, of what would take almost three years to finally diagnose as SPD. He was a baby! Now, that little boy is a whopping seven years old (if you ask him, almost eight), and he has as much power to make choices for himself as I have the power to accept each one of them without dwelling on what came before or what happens next. When he started camp this summer, I was way more worried about him tying his sneaker laces all day than eating too many peanut butter sandwiches. In fact, he surprised me one afternoon with the news that he ate a cheese quesadilla for lunch. A cheese quesadilla! I felt as giddy and lightheaded as the night he tasted the French fry at the bowling alley, but I simply gave him a calm and composed high five and asked him about the rest of his day. As we plow ahead into adolescence, the conundrum of whether or not my son had or has SPD and the mystery of whether or not he’ll ever eat another French fry or cheese quesadilla (or fill in the blank) again is far less important than the invaluable lesson we’ve both learned along the way, which is to take each moment – good or bad – as it comes and then let it loose like a balloon in the sky and watch it float up and away until the next one comes along. I’m smiling because if my son could eat french fried and cheese quesadillas and Nothing Else for the rest of his life he’d be soooooo happy. Thanks for the comment and thanks for reading! It’s an image that helps me… even if I still freak out… and I do sometimes! I need to learn how to do this. Nikky’s sensory issues are fairly mild compared to a lot of sensory kids, but I still find myself stressing about everything. Thanks for your comment. Some days it’s easier to let go than others! HA! I would also jump for joy and dream of taking him to taste all the fries of the world, LOL! My son only eats a small handful of foods, none with nutritional value. It is so hard to cope with, as I do believe nutrition is a super important variable in his autism and mood! But there is nothing I can do. I am grateful in one way though, because he has several anaphylactic food allergies and if he were like my other son (eats everything) he probably wouldn’t have made it this far. I still feel bad about the day I tried to get him to eat peanut butter again (used to be a favorite) and then found out he’d developed a food allergy to peanuts/tree nuts! I’ve discovered that parents worry about food no matter what their kids eat. My son eats A LOT of carbs, and I would do absolutely anything for him to add protein or a vegetable to his diet. I worry constantly about his health now and in the future. Of course, I met a parent recently who was deeply concerned because all his son would eat was grilled chicken and vegetables. I nearly fell over! We all worry and it’s all going to be okay… I hope. Thanks for reading! My grandson doesn’t like any food that’s warm. For the longest time he would eat food right out of the freezer. I had to make sure that we had corn dogs, hot pockets and frozen fruit or he would try to eat frozen chicken or hamburger. I asked him one day if I could put the food in the microwave for 1 minute, just once to see if that would be okay. He agreed, and now he lets me cook his frozen food for 1 minute only. Dinner time is tough because he won’t eat it hot, so to cut down on his melt downs and to make sure that he could eat dinner with us, I dish up his food first and then put it in the freezer while I set the table and get everything ready. Dinning out is easier if we get his food and I let him have dessert first. By the time he’s done with that, his food has cooled off enough for him to eat. Doing these things helps make meal time with him more enjoyable and none of it is really a big deal. What a great post at such a perfect time. Our 4 year old has a lot of sensory issues and was just diagnosed as being on the Autism spectrum. I’m trying really hard to enjoy him every day and not just stress out about what’s next…because I do. A lot. So anyhow, thanks for this post. It was a great read for today! I’m so glad I found your blog. We’ve been in the SPD zone for about six months, and I’ve felt very alone trying to wade through it all. I have an almost 3 year old active, emotional, sensory craver, and I’m in the “I feared the victories because the next battle was imminent” stage. That sentence made me tear up because I have felt that so much lately – we’ll have a great week that makes me feel like we’re finally having a breakthrough, only to go right back to the familiar issues the next day. It’s easier said than done, but you are so right. So glad you found the blog helpful. We’ve come so far, but I have a hard time celebrating the victories, too. Hang in there, and thanks for reading!